Ankara and Moscow have reportedly thrashed out the much-talked-over purchase of Russia’s S-400 advanced anti-missile system, Bloomberg reports. The deal will allegedly see two batteries being delivered to Turkey as well as a technology transfer. The parties to the deal, which has been in the works since November 2016, have finally agreed on the price of the contract, which should amount to $2.5 billion, the magazine reported Wednesday, citing an anonymous Turkish official. However, no timeframe has been set as to the signing of the deal yet, as the countries are still discussing the technical aspects, the official told Bloomberg, adding that he expects the negotiations to last for about a year. One of the cornerstones of the agreement, according to the Turkish official, is that it envisions not only transfer of the state-of-the-art complexes but also that of technology. 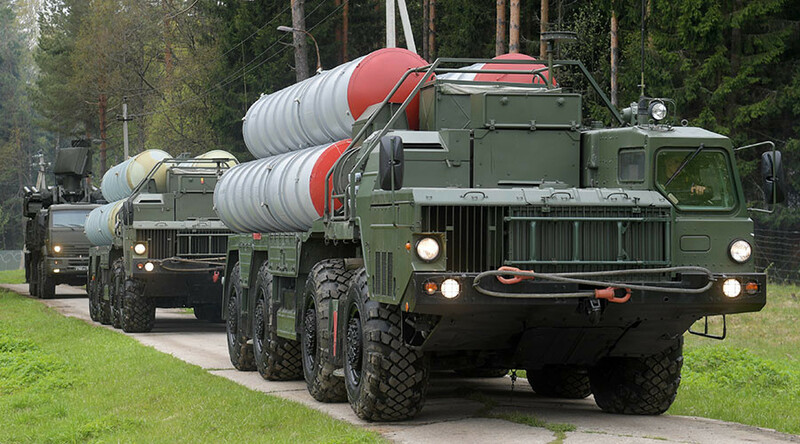 In addition to the two S-400 batteries, which would be manufactured in Russia and supplied to Turkey, the deal would enable Ankara to assemble two missile systems on its own. For now, it’s not clear how much time will pass for the systems to be installed on Turkish soil once the deal is finalized, the unnamed official said, noting that Moscow doesn’t have any spare missile systems in stock and will have to embark on their construction first. He suggested that to speed up the delivery Moscow might take away a missile system from a batch bound for another customer and send it to Turkey instead. The official did not specify the country, however. 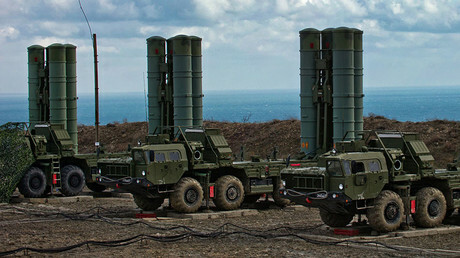 Russia had previously secured contracts with India and China to procure S-400 anti-missile systems. The systems would be incompatible with NATO equipment stationed in Turkey, a long-time NATO member. Air base in Incirlik serves for US forces as a storage site for its tactical nuclear weapons and has been used by NATO to launch attacks against Islamic State (IS, formerly ISIS/ISIL) in Iraq and Syria. The potential problems with the missile systems integration into the NATO infrastructure sparked concerns among its member-states. However, Turkish defense minister Fikri Işık said in March that Ankara did not plan to fit the missile systems into the existing NATO infrastructure. Last month, Russian President Vladimir Putin said that while Moscow does not currently produce the systems abroad, he did not rule out the possibility of its happening in the future. “Overall, there’s nothing impossible,” Putin said on the sidelines of St. Petersburg economic forum, revealing that, for its part, Moscow is “ready” to deliver missile systems to Turkey. The Rostec Corporation reported in early June that it had agreed technical issues with the Turkish colleagues and was waiting for the financial aspect of the deal to be resolved. 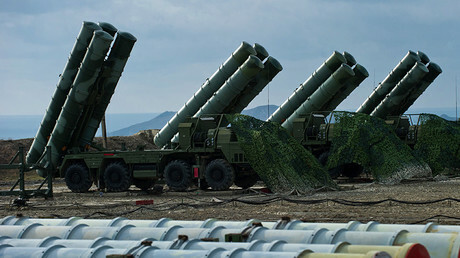 “As for the S-400 system, the discussions are going on, all the technical issues have already been agreed upon, the current discussions refer to the financial issues,” Rostec CEO Sergey Chemezov said, noting that Ankara was seeking a loan to purchase the systems. There were hopes that the final touch to the deal could have been added at the meeting between Russia’s President and his Turkish counterpart Recep Tayyip Erdoğan in Russia’s Black Sea resort of Sochi in May. Speaking ahead of the meeting, Turkish foreign minister Mevlüt Çavuşoğlu, said that Ankara “agreed in principle with Russian on the S-400 purchases,” noting that the countries had yet to work out financial part of the deal. Turkey has long been seeking to build a national air defense system, but was lacking the appropriate technology. In 2015, Turkey canceled a $3.4 billion agreement with China for a delivery of a similar long-range air defense system, the FD-2000, reportedly after Beijing refused to share technological know-how as part of the agreement. Explaining the decision to turn to Moscow, despite attracting NATO’s criticism, the Turkish defense minister said in April that NATO partners had failed to present Turkey with a “financially effective” offer. Relations between the US-led alliance and Ankara suffered a blow in the aftermath of a foiled coup attempt last July, followed by a large-scale purge in the military and civil service unleashed by Erdogan. The reluctance by the US to extradite the alleged mastermind behind the coup, Fethullah Gullen, to Turkey, where he is considered to be a founder and a leader of a terrorist organization, further inflamed tensions. Another point of contention is the US longstanding support for Syria’s Kurdish-led Syrian Democratic Forces (YPG) in their fight against ISIS. Ankara deems YPG to be a wing of the outlawed Kurdistan Workers Party (PKK).